The acclaimed game developer discusses the opportunities that the Cloud is opening up for game makers. The cloud continues to change the way games are being developed, distributed and monetized around the world. Leaders from the video game industry will converge in London February 21-22 to discuss the potential future of cloud gaming at the Video Game Intelligence Cloud Gaming Europe 2013 conference. According to market forecasts, cloud gaming will generate over $55 billion, and as much as $148 billion, by 2014. 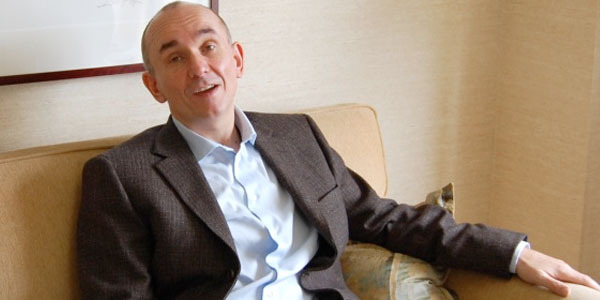 Peter Molyneux, Studio Head, 22 Cans, is one of the keynote speakers at this conference. The acclaimed game maker explains why he sees the future of gaming in the cloud in the interview below. What's your current understanding of cloud gaming, its potential and what it means for the games industry? We need to break cloud down into several areas because there are some different things here. One is cloud storage and the ability to store things online. Now it’s this cloud compute and that’s the ability for us to use super computers to compute stuff out for the experience. Both of these are really significant areas. They’re not really significant for how we’re using it today. They’re really significant of how we’re going to be using them, the ability to use the cloud to store, or have a sense of persistence, for your experience. If you ask me to load up a saved game of a game that I played, anything longer than six months ago on some device that I no longer use is out of the question. Now I can show my grandchildren the game I played, or here is the level I made, or here is the experience I had. We haven’t crafted experiences around that persistence yet, but there are going to be more and more experiences crafted around this idea that your existential digital entertainment never dies or fades. How do publishers intend to monetize the cloud and engage new players? If you look at the cloud as a way of attaching yourself to people’s experiences, then what a lot of the analytics are doing, they’re looking at people’s playback behavior and they’re asking them a simple question. If I change this number, does that mean people are more compelled to spend more money or less compelled to spend more money. They’ll then test that on a small group of people and see if it works, and if it does they’ll spread that out to a wider group of people. If you look currently in the App Store charts, the top three free-to-play games are Clash of Clans, Hay Day, and Camelot. All three of those use clouds to look at people’s play behavior and to adjust and refine the experiences so that people are more likely to spend money.